With a hint of warm spice, this traditional brunch cocktail is a twist on the classic mimosa. There’s a palpable change of mood in the air already. The lingering spirit of the holidays and anticipation of the New Year has everyone in a celebratory mood. The promise of what’s to come in 2013 and what has passed in 2012 bears a good toast and glasses of champagne are a natural for the task. Happy and bright on the tongue with its delicate bubbles, champagne makes any occasion more festive. Truth be told, whether it’s welcoming in the New Year or just the start of the weekend I think a glass of champagne is always in order. 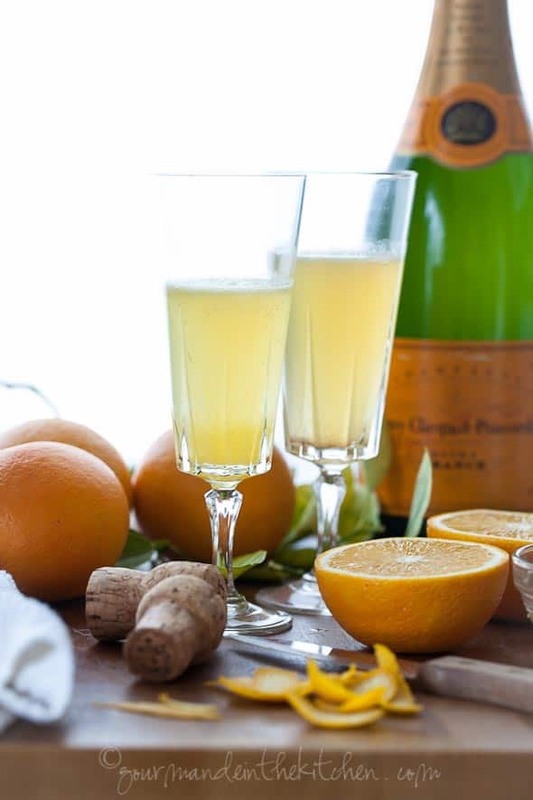 With a hint of warm spicy flavors, this champagne cocktail is a twist on the classic mimosa. Allspice makes the difference and if you’ve got some hidden away in your cupboards dig it out now. 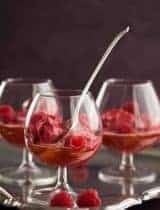 With a taste that resembles a complex blend of everything wintery like cinnamon, cloves, nutmeg and pepper, this underused gem lends a gentle spice to the classic brunch cocktail. 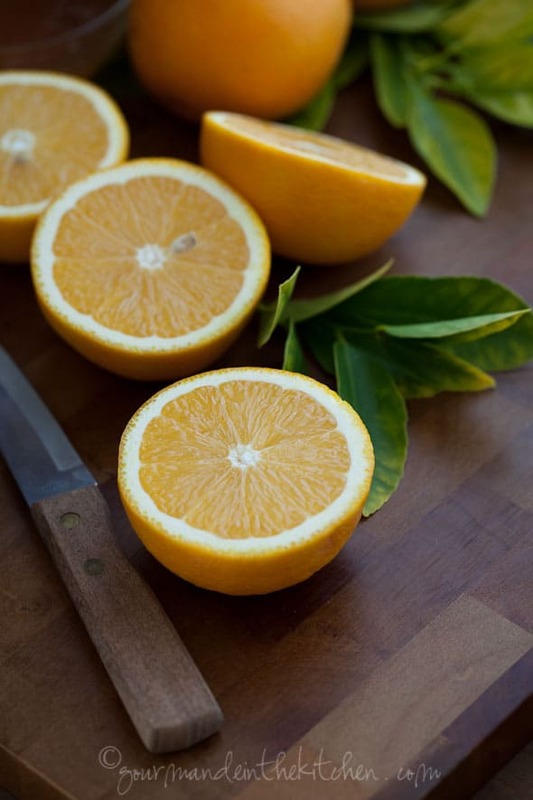 Sweet floral notes of orange blossom honey join the mix, to which a good dose of brandy or Grand Marnier is added, giving the fresh citrusy taste of the oranges a hint of warmth and caramel color. It’s certainly stronger than your average mimosa, but bright and light at the same time. 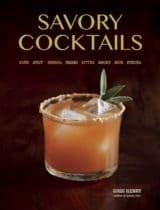 The inspiration for this cocktail was born in part out of the 2013 Flavor Forecast from McCormick, which paired together Black Rum, Charred Orange and Allspice to illustrate the flavor trend “no apologies necessary”. The concept being the unabashed, sumptuous and aromatic spices and ingredients whose depth and richness of flavor are a culinary indulgence and escape from the ordinary. 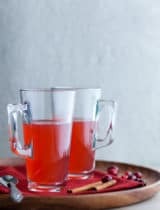 Infused with allspice, this simple syrup adds winter cheer to anything it joins like this classic brunch mimosa made with Grand Marnier or brandy. If using whole allspice, crush open. 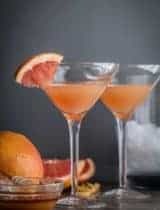 In the bottom of a chilled champagne flute, pour in the Grand Marnier or brandy, allspice simple syrup and orange juice. Slowly top off with champagne. Run the orange peel around the rim, twist it over the drinks, and drop it in. The simple syrup recipe makes enough for multiple cocktails. Just gorgeous Sylvie! All the best for the new year! Cheers! The perfect way to enter 2013. Hope you and your family have a happy and healthy New Year! Wow. What an fabulous combination. I am addicted to all things spice. Glasses up everyone. 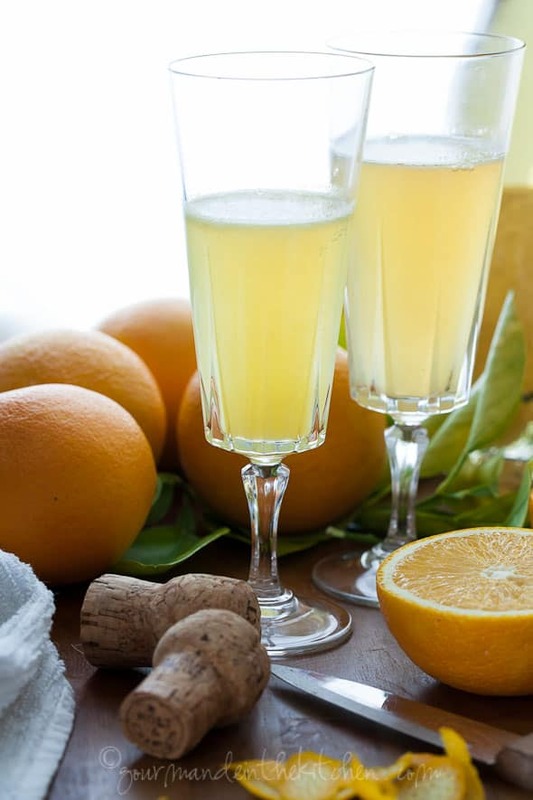 Mimosas are quite possibly my favorite alcoholic drink--I love the idea of adding allspice syrup. I hope you have a wonderful New Year! What a gorgeous drink! The perfect way to toast the New Year. 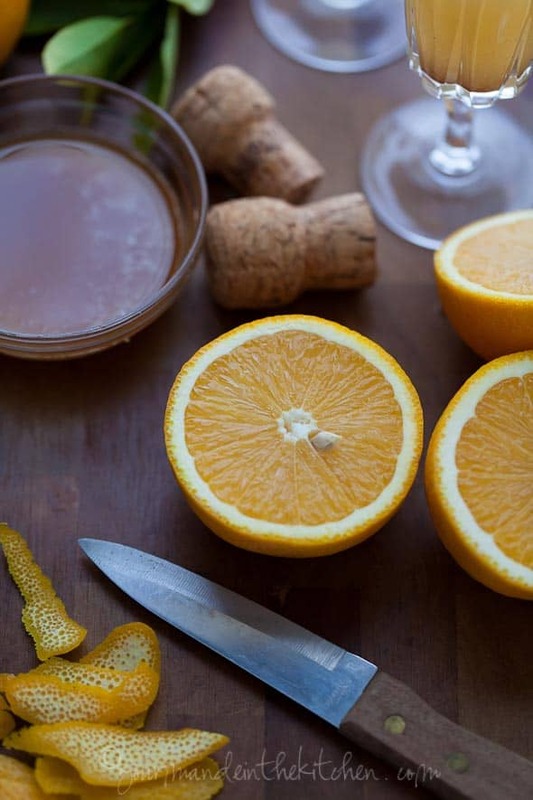 Wow, now that's a gorgeous take on Mimosas. I bet these are amazing! I love your champagne glasses, what a gorgeous drink! Uuuuugh I seriously want to drink 14 bottles. Of this. Now. 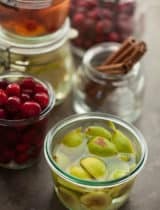 I love the idea of allspice in this mimosa recipe Sylvie - adds a special touch! Wishing you a Happy New Year! Nice way to welcome 2013. Happy New Year Sylvie! So, so pretty!! Happy New Year, Sylvie! Such a warm and cheerful drink! love the yellow :) Happy holidays to you and your family Sylvie. Yes! Mimosas! And my favorite holiday, New Year's. What can be better? What a gorgeous drink Sylvie! Allspices in Mimosa recipe..sounds wonderful...and what gorgeous clicks! Have a very happy New year, Sylvie. Love. Wow, you've outdone yourself with this, Sylvie. I'm with you, I'll take a nice glass of champagne to celebrate just about anything. Strawberries and champagne are so overdone, but this creation is something else. All of my favorite flavors... in alcohol. Brilliant! (And I love the photos, too) Happy New Year! 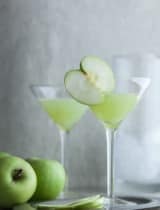 What a delicious way to bring in the new year-I do love a good sparkling cocktail! 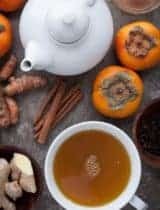 orange blossom honey and allspice? I am all ears Sylvie! I am mad about anything with the flavor of orange blossoms and all spice is a common spice in my mums kitchen. Although I have to confess that I am not that much of a Champagne fan. But the idea of your Grand gorgeous grand mimosa is really tempting me to give it a shot. I wish you a a Happy New Year! This looks like perfection! 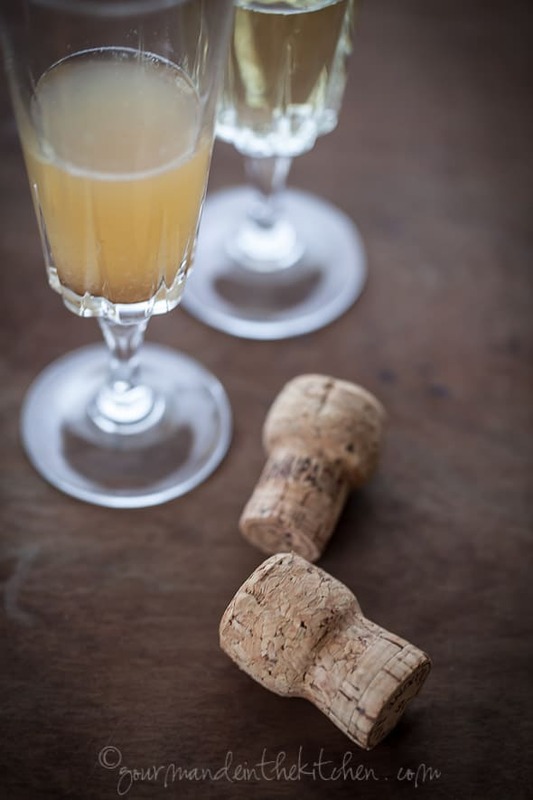 We're celebrating NYE at home this year, so obviously I'm going to HAVE to make these fancy mimosas ;) Happy New Year, love! Although I can't drink this, I love to look at your photos and I think they all are beautiful! Wishing you a very happy New Year! Looks like an intriguing drink and your photos are so lovely, as always. Happy Holidays Sylvie! Looks awesome, Sylvie!! Happy New Year to you and your family!! I would happily toast with this! Have a fabulous new year! Nice variation on a classic drink! Great photos. I hope you have a Happy New Year! 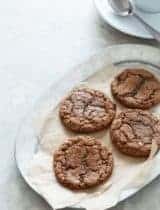 Hi There, This post is looking great! It was a real delight to see and learn so much from your each and every post. Hope to see more of your creative endeavours in the new year. Wish you and your family a very Happy and Blessed New Year!!! Happy Holidays :) Love & Regards, Sonia !!! I love a good mimosa :) This sounds delicious! Happy New Year! I love mimosa. I'm keeping this recipe handy and hope to use it very soon!